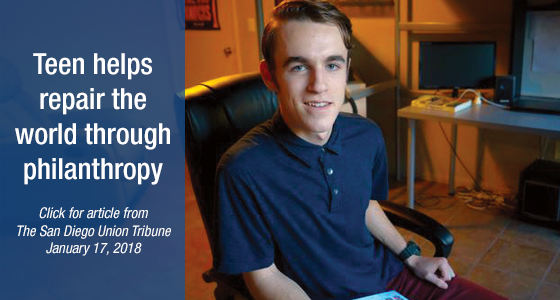 The Jewish Teen Foundation (JTF) provides an opportunity for Jewish high school students to learn about community needs and nonprofit organizations through a foundation lens. 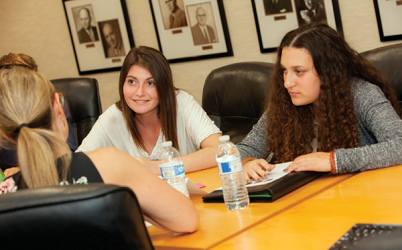 Teens develop professional and leadership skills as well as practical applications of Jewish values and teachings instilled at home or through formal Jewish education. Participants can expect to graduate from this program with behaviors, attitudes, skills and knowledge that will help them to become stewards of the next generation through tzedakah (charity/justice), avodah (work/service), and gemilut chassidim (acts of love and kindness). JTF is dedicated to learning about nonprofits and charitable giving, and making an impact in their community. Participants will receive the title of “Program Officer” as they discover community needs and develop a board mission statement. Participants will explore strategies and techniques in effective philanthropy and experientially learn through reviewing grant applications and going on site visits. Ultimately, these teens will decide how to make the biggest impact through tzedakah. The Jewish Community Foundation provides a startup fund of $5,000 as participants develop essential leadership skills to raise funds for their pool of funds. The program culminates with a Community Check Presentation Ceremony, where teens share their new knowledge about community needs and how they decided to support various organizations through their foundation. Click here to learn about our 2018/2019 Jewish Teen Foundation. Click here for the current JTF recruitment flyer. Have questions about our youth philanthropy programs? Please contact Kimber Wrosch, Teen Coordinator, or call 858-279-2740.